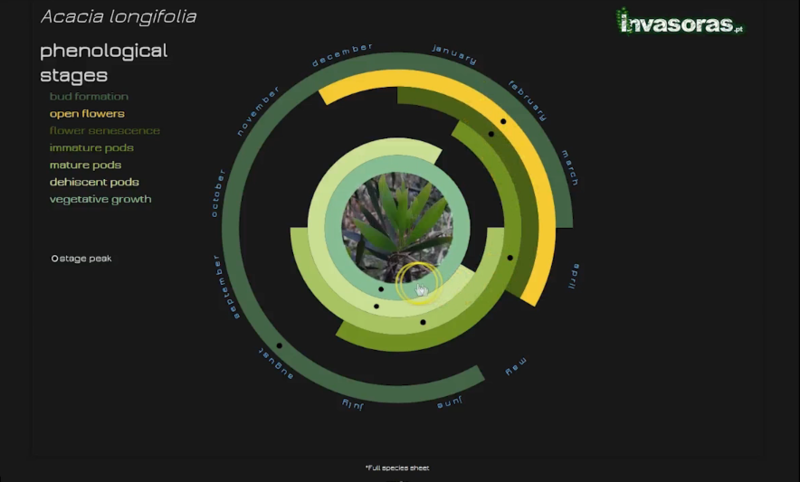 SVG/HTML5/CSS3 project – Acacia longifolia Interactive Phenological Radial Calendar from Alex Gamela on Vimeo. I’ve experimented recently with ways to create interactive visualizations using HTML5 and CSS3. Starting with a SVG based design, I used HTML/CSS to animate and create transitions for specific items of the visualization. SVG is quite useful, because we can have more control over the design, while establishing classes and id’s for elements that can become alive with CSS3 magic. Here we have the phenological cycle for the Acacia longifolia, one of the most problematic invasive plant species in Portugal. How do I know that? It’s my current job. And like most scientific subjects, data and good visual elements are aplenty. This information and the images were provided by my colleague Cristina Morais, that included this calendar in her PhD thesis presentation. I love a well designed calendar or any other time related object (I have deadline issues…)because, in spite of time’s linear, progressive motion, it’s also cyclical (…and hamster syndrome as well). I found some creative, stunning, stylish layouts and the radial stuck with me, since we’re conveying the idea of a cycle, after all. This here and this one too cleared any doubts. I had already tried this concept, but this time I wanted to take it a step further. I’m not a designer so I tried my best to make it look not really ugly, and adapted the code from this great tutorial from Codrops, which is one of the best interactive design websites ever. Follow them. The popup images are activated through a pressbox .js script, placed in the index.html file. Neat and simple. Even so, my coding skills weren’t enough to create all the actions I wanted, and I failed to make it cross-browser compatible: it only works 100% on Firefox. Chrome and IE do not render the calendar as seen on the video above. For this project I used Adobe CS6’s Photoshop and Illustrator (which could have been replaced by Inkscape and GIMP, both free powerful alternatives to the Adobe products), and edited a lot of code on Notepad++. It was an interesting project, and I’m planning to do a few more. If you have any suggestions or ideas send them to me. Is this a journalism job? I would be very interested in having the code for your radial calendar for an idea I have. yes, that is my goal. 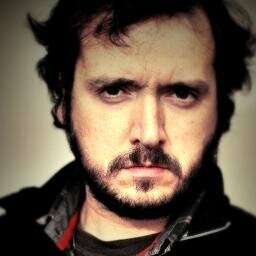 Soon I’ll post again about this and make the code available.